In just a few short days, Swedish occult doom practitioners BESVÄRJELSEN will unleash their debut full-length, Vallmo, upon unsuspecting ears. In advance of its release, Cvlt Nation is streaming the record in its dark, kaleidoscopic entirety. Hear Vallmo in full at Cvlt Nation at THIS LOCATION. View the album trailer as well as previously released videos for “Return To No Return” and “Under En Svart Himmel” HERE. 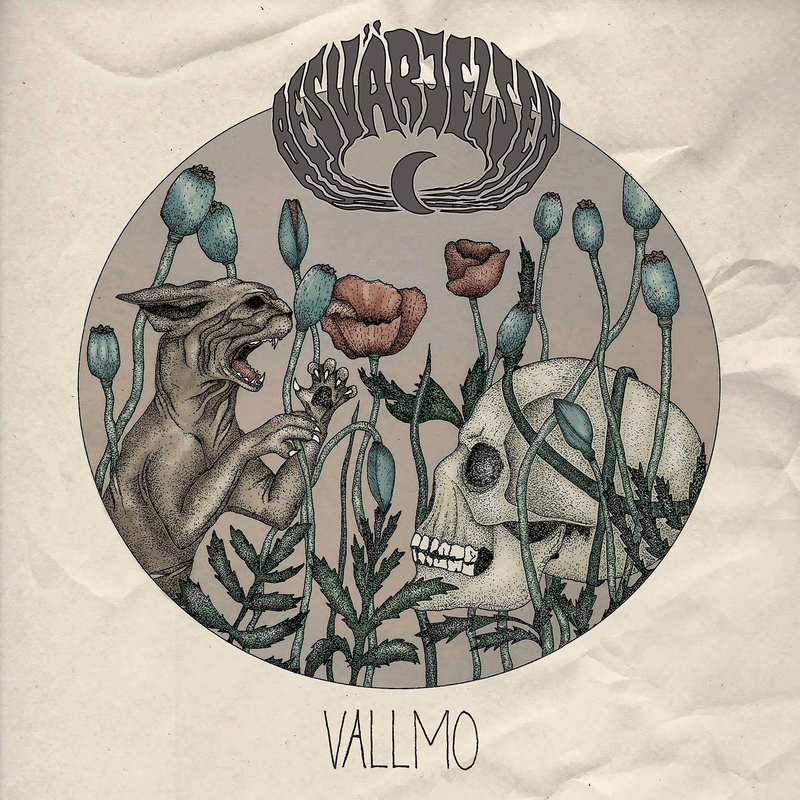 Vallmo will see release on vinyl and digital formats via Suicide Records in cooperation with DalaPop on March 27th. Preorders are available at THIS LOCATION. BESVÄRJELSEN features within its ranks past members of Dozer, Greenleaf, Afgrund, Lastkaj, and V. Swedish for “conjuring,” BESVÄRJELSEN was forged in 2014. Though clearly rooted in the realms of doom, within their engulfing sound lies traces of progressive metal, punk, folk, and classic rock ‘n’ roll all carefully weaved together resulting in a sound that is at once crushingly heavy and alluringly sophisticated. The band released their debut EP Villfarelser in 2015 which was followed by 2016’s Exil EP. 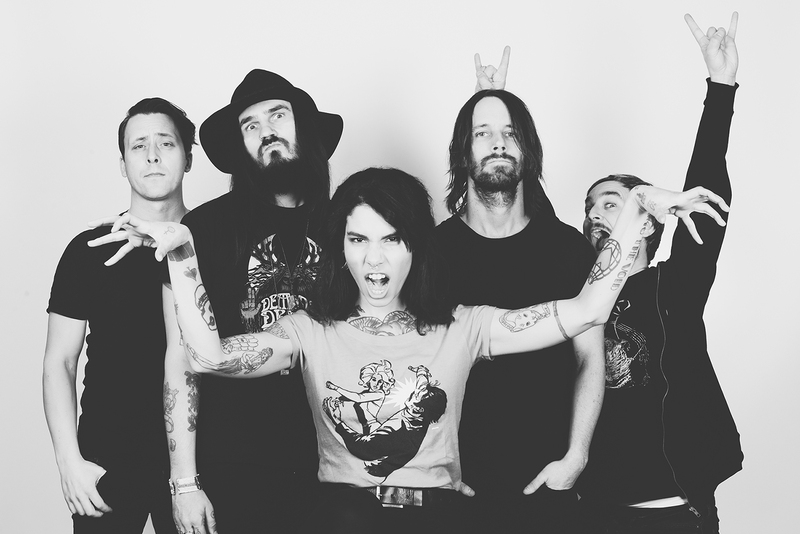 Both releases, though self-financed and released with little outside promotion, were well-received by Swedish media and even found airplay on Swedish National Radio. Much of 2017 found BESVÄRJELSEN composing the audio alchemy found on their ﬁrst full-length studio offering Vallmo (Swedish for “poppy”). Vallmo more than ever showcases the band’s enormous potential, the eight-track offering seamlessly wandering from crushing doom riffs to catchy vocals and melodies, deep lyrical content, and storming drum work, all topped by stunning guitar solos and, for the first time since the band’s formation, songs in English as well as their native Swedish. BESVÄRJELSEN’s Vallmo was captured at Studio Glashuset and Midlake Studios by guitarist/vocalist Andreas Baier and comes sheathed in the cover art of Blodpest with design by drummer Erik Bäckwall.